Today’s Featured Ebay Auction takes us once again to the land of Masters of the Universe. 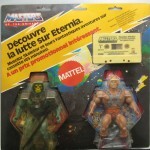 This is a 2-pack featuring He-Man and Skeletor which included a cassette tape, which was sold in some European countries in the 1980’s. 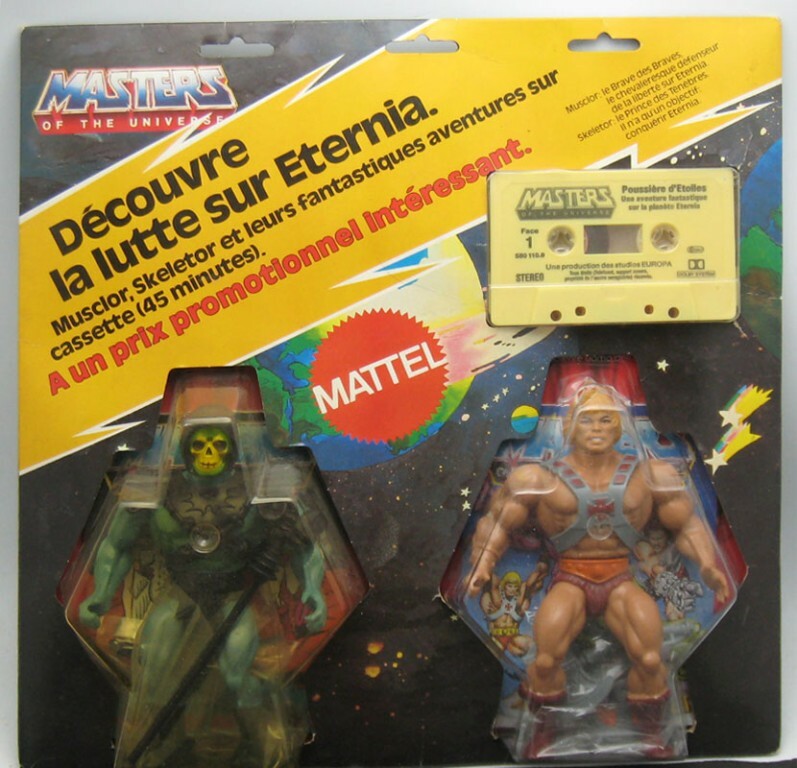 Check out the HE-Man and Skeletor 2-Pack giftset from Europe from seller astonishingtoys. 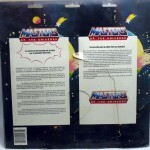 If you liekthis auction, check out more Masters of the Universe listings. Check out a couple of pics by clicking the headline of the story. I hope the winner actually gets the item after they pay! price is disgusting....no way in hell Id pay that much...Id be a bit cautious as well seeing that the seller hasn't been on for long but Id take into consideration his ratings...Too much money though. wow. that's....um too expensive. so it appears to be french point of purchase display (based on the fold out prop) packaging. so maybe ultra rare? da_last_2_walk, ever seen one before? Yes, I have also seen the same package but in German. I really don't follow the European version market, but I assume that this is a rare item. The seller has been on ebay for a long time.